What’s the future hold – for the economy, investing, geopolitics, health care, emerging markets and food? So much is changing so rapidly – on a global scale – that it’s hard to know what’s relevant. Keeping ahead of what’s coming next starts with paying attention to the right signals and connecting the dots. The future doesn’t have to blindside you. Vikram Mansharamani helps audiences see a new way to uncover valuable insights on the drivers of change impacting business. He shows business leaders and investors how to look at the world differently in order to manage risk and navigate radical uncertainty – and his strategies help them peer into the future on crucial areas like China, food, the global economy, Africa, housing, investing, financial cycles, energy, and much more. Vikram Mansharamani first gained widespread attention with his book Boombustology: Spotting Financial Bubbles Before They Burst. Since then he’s gone on to show business leaders and investors how to look at the world differently in order to manage risk and navigate radical uncertainty. His strategies help them peer into the future on crucial areas like China, food, the global economy, Africa, housing, investing, financial cycles, energy, and much more. So valuable are his insights that LinkedIn named Vikram #1 on their 10 Top Voices in Money &Finance for 2015 and 2016. Vikram is Lecturer at Yale University where he taught three popular classes: “Investment Management”, “Financial Booms and Busts” and “Adventures in Business Ethics.” He is also Lecturer at Harvard’s John A. Paulson School of Engineering and Applied Sciences where he is co-teaching a course called “Humanity and Its Challenges.” His current research interests include bubbles in both financial and non-financial markets, the unsustainable dynamics of food and fuel, and the relative value of experts vs. generalists in navigating complex uncertainties and risk. Vikram Mansharamani is a global equity investor with more than 20 years’ experience investing in public and private markets. He served as Managing Director of SDK Capital (and its predecessors). Vikram is currently regular contributor to Worth magazine and a columnist for the PBS News Hour. He has also contributed to Bloomberg, Market Watch, CNBC, Forbes, Fortune, The New York Times, The Wall Street Journal, The Atlantic, Yale Global, The South China Morning Post, The Korea Times, The Khaleej Times, and The Daily Beast, among others. Vikram contributed the summary chapter for the book A Force for Good (2015)synthesizing lessons drawn from the collection of essays written by the world’s most prominent thinkers on the role of finance and capitalism in today’s increasingly interconnected and unequal world. Vikram Mansharamani is a frequently sought-after speaker by a wide range of organizations. And whilecorporations from virtually every industry have sought his insights, he continues to have a very strong followingin the investment community. He regularly speaks with those focused on allocating large pools of capital. Audiences of sovereign wealth funds, family offices, endowments, foundations, and registered investment advisors have found tremendous value in his unconventional thinking. As a consultant Vikram helps clients analyze the business impact of global trends, with a particular emphasis on economic, political, and social risks that might generate instability. He conducts many executive education seminars for senior leadership teams on how to integrate disparate (and seemingly contradictory) information into actionable analysis to drive business decisions. His thematic analysis and risk management is always focused on identifying opportunities within the risks. He currently serves on the board of the Africa Opportunity Fund (LSE: AOF), is a strategic advisor to Peter Kiewit & Sons, and regularly helps the National Bank of Abu Dhabi. He previously served on the boards of the Association of Yale Alumni, the U.S.-Pakistan Business Council, Interelate, and Managed Ops. He earned a Ph.D. and MS from the Sloan School of Management at MIT, an MSin Political Science from MIT, and a BA from Yale University, where he was elected to Phi Beta Kappa. Blinded by expertise and single-minded focus? It happens. But in a fast-paced world driven by complex and diverse factors, connecting the dots is often more important than developing the dots. “The future doesn’t have to surprise you,” so says Vikram Mansharamani, global trend-watcher, Harvard Lecturer, author, and investor. Mansharamani shows audiences how to look differently at their industry and business with the goal of helping them spot risk and capture opportunities others miss. The overwhelming flood of political, economic, technological, social, and market forces that bombard us every day is distracting. It prevents us from paying attention to what really matters. Our usual response to the noise is to focus narrowly or turn to specialists for help. But is that the right path? Have we been blinded by focus? Has the mantra of expertise and specialization misled us? Vikram thinks the pendulum has swung too far. He offers scores of compelling real-life examples that show how a narrow lens can lead us to miss the most important signals – the ones we’re least primed to see. The advice he offers is counter-intuitive. He advocates opening up to get a broader view; to zoom out. He calls the logic the generalist’s approach. Breadth, Vikram argues, is as important as depth. Generalists win by paying attention to more than their area of expertise. Vikram’s generalist framework for looking at the world differently is at the center of what he delivers in his speeches and can be focused on just about any subject. Food is emerging as one of the future’s most volatile assets. Shifting political, economic, climatic and societal change all factor into the equation. Vikram Mansharamani applies his multi-lens bubble-spotting approach to the key drivers of food prices in a global marketplace. He suggests that the era of cheap food is over and describes the geo-political and geo-economic ramifications of such developments – from Wall St. to Pudong. Audiences will leave with an understanding of the dynamics of land grabs, water scarcity, and the implications of food (in)security for national defense. As the middle-class booms in emerging nations, a global consumption boom is likely to have an unprecedented impact on a wide range of commodities – food, fuel, precious metals – that will impact the global standard of living. The result will be geopolitical and economic uncertainty. Vikram Mansharamani untangles these dynamics through easy-to-understand, entertaining, and engaging analysis that evaluates the effect of a ballooning middle-class on an unlikely collection of industries — from education and entertainment to defense, finance and healthcare. Mansharamani’s insights help audiences look differently at the nature of global prosperity and how it may shape their business and their future. Europe falling apart? China collapsing? Treasury bubble popping? Japan economic implosion? Social networking bubble? Alternative energy dynamics creating geopolitical unrest? 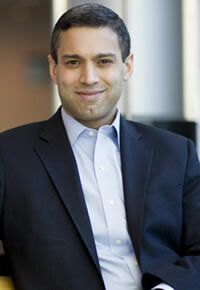 Vikram Mansharamani applies a unique combination of practitioner experience and academic perspective to help audiences navigate the seemingly unending cross-currents of global economic, financial and political developments. While audiences often find themselves agreeing with Mansharamani each step of the way, they’re frequently surprised by what turn out to be unconventional conclusions. In a globally dynamic environment, boom and bust cycles are more frequent than in the past. It seems there’s always something that has reached unsustainable levels. The trick, of course, is recognizing it and taking action before the bubble bursts. In direct contrast to the views espoused by most academics, Vikram Mansharamani makes a persuasive case that it is possible to identify financial (and other) bubbles before they burst. He draws on entertaining and engaging examples from art markets, architecture, and popular culture – as well as economics and politics – and powerfully demonstrates that you do not need to be an expert to effectively anticipate the future. Audiences walk away empowered to think independently and to connect obvious dots to generate not-so-obvious conclusions.